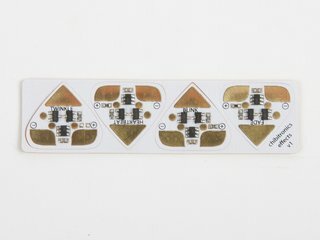 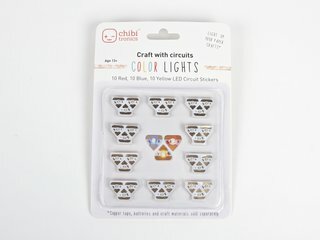 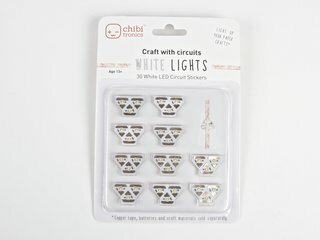 Circuit Stickers are electronic stickers that you can use to build glowing, sensing, and interactive projects without any complicated equipment or programming skills. 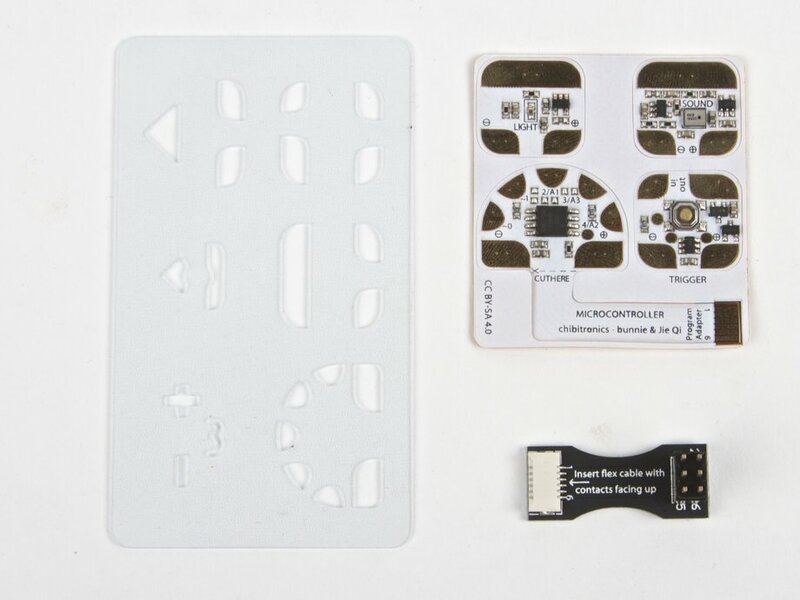 An ISP interface breakout board is also included for advanced users for reprogramming the microcontroller. 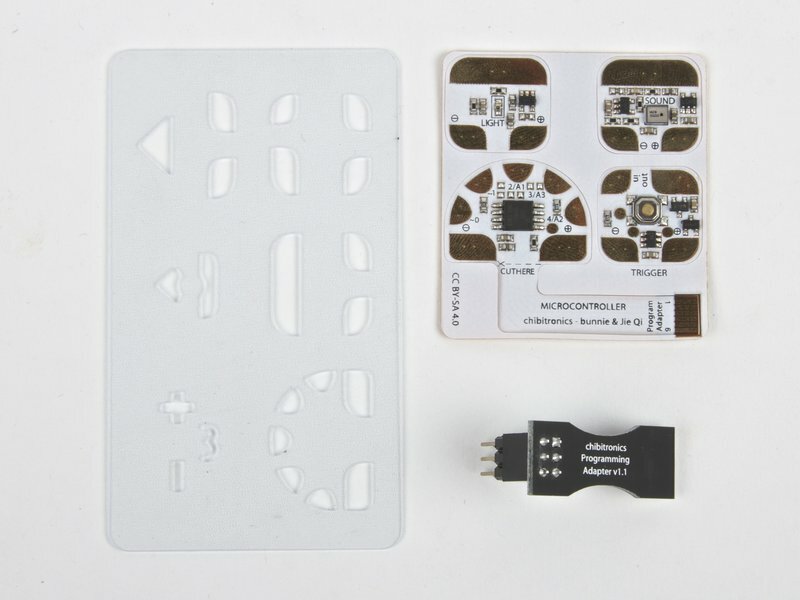 A plastic template is included for sketching your circuit. 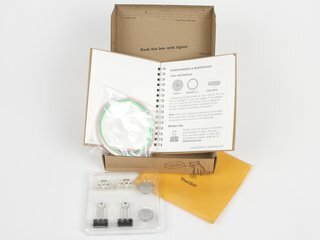 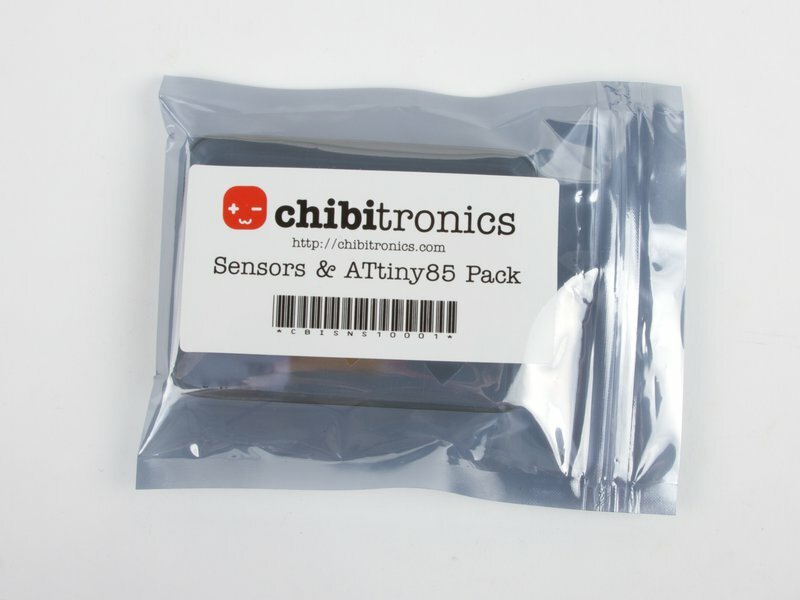 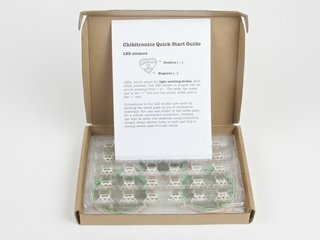 The sensors add-on makes a great addition to the Starter Kit.